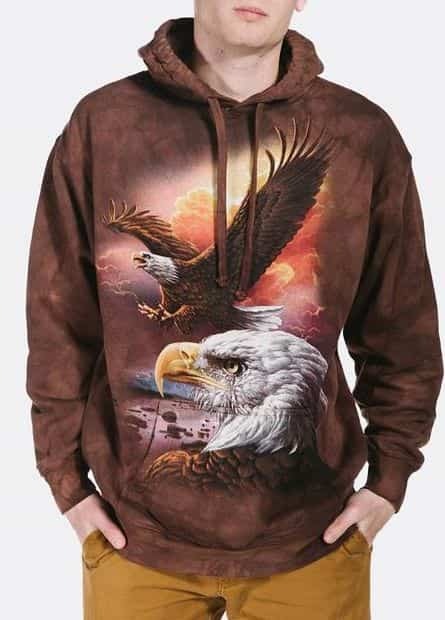 One word to describe this bird t-shirt from The Mountain® is stunning. The artwork by Dimitar Neshev features an American bald eagle flying in clouds at sunset. While another eagle is sitting on the shoreline. 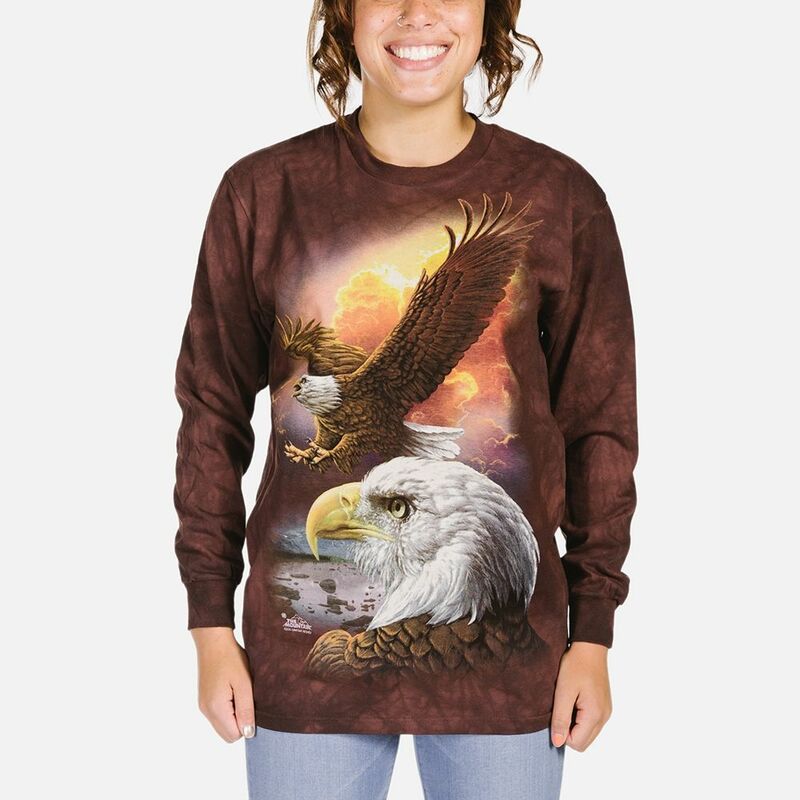 This bird of prey t-shirt is a classic cut making it suitable for women and men. I can not rate this company or products high enough. I received sterling service from the outset and......not only was it the best customer service I have received in a long time but Tam was a pure pleasure to do business with.